About permissions to exchange information with the API. Business use of the Russian Social Network may be of interest. VK has 60 million active daily users (as opposed to 800 million active Facebook users:January 2014 figures/Wikipaedia) and is accessible in various languages. VK is particularly popular among Russian speaking users in Russia, Ukraine, Azerbajan, Kazakhstan, Moldova, White Russia and Israel. This opens up opportunities for brands and businesses. For example Lufthansa has a page on VK, just as fashion label Chanel and world famous DJ’s like Armin van Buuren and Tiesto. 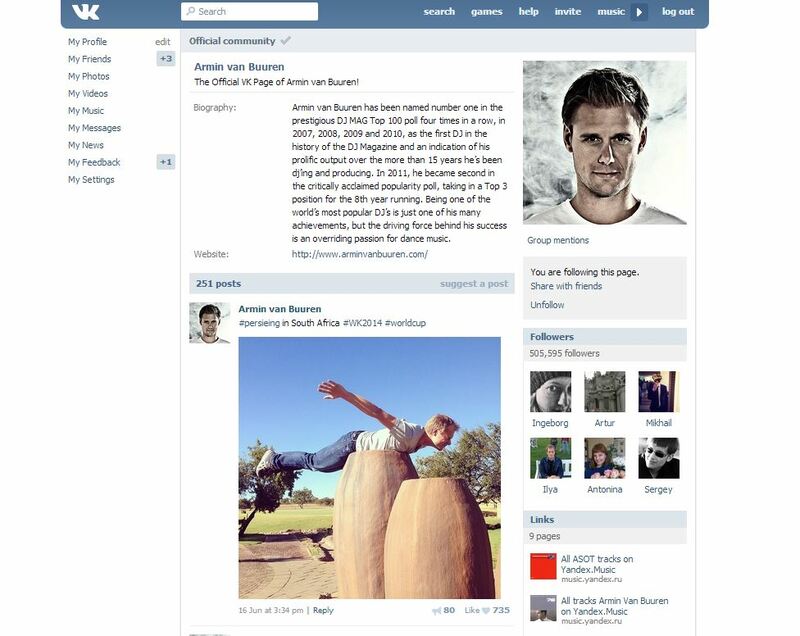 VKontakte is similar to Facebook – white and blue – with a site on which you post comments. It includes discussion boards for business users. This set up of ‘boards’, offers more interaction than the average wall post comments, applicable on Facebook. These comments just slip and disappear out of sight after a while. The good thing about discussion boards is that they are more permanently visible. You are also able to see with whom you are communicating from within a business. VK appears to be better developed for real engagement and seems to offer more room for personal exposure of your brand. You can have ads on VK as well and that is quite interesting for brands. Especially because VK is a combination of Facebook, Spotify and Youtube in one: you can access unlimited music and movies. Music and video streaming within VK offers great opportunities for advertising. Normally you have to prepare ads for 3 different channels, now you can do this for only one. Having VK integrated in our platform makes it easy to check your online campaigns in the dashboard and statistics. You can compare the channels and see which one contributed the most to the success of your campaign. VK is really quite efficient and superfast. Everything you do or click on appears straight away. No revolving image in the middle or at the bottom of your screen. Just as if you are working on your own home computer. How Vkontakte regulates this speed is a mystery, but it is certainly a plus. It seems funny that you are able to log in via Facebook. We are curious to know when this will be possible in reverse. VK has no frills, but no censorship either, unless you tick a box for this yourself. On VK you can respond to a message with a photo or more than one photos or a video. One of the nicest things we found out is the ability to create graffiti. 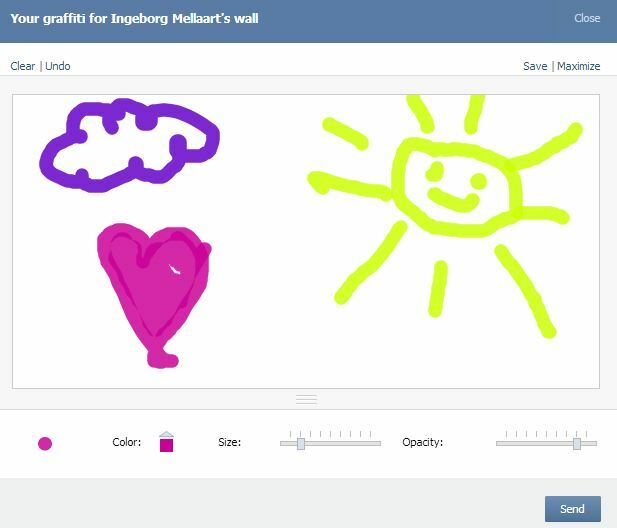 For new postings, you can choose ‘graffiti’ and make your own drawings using this function. In short, VKontakte offers a great opportunity to situate your brand on a 250 million people’s market. It is time to take a look at the East!